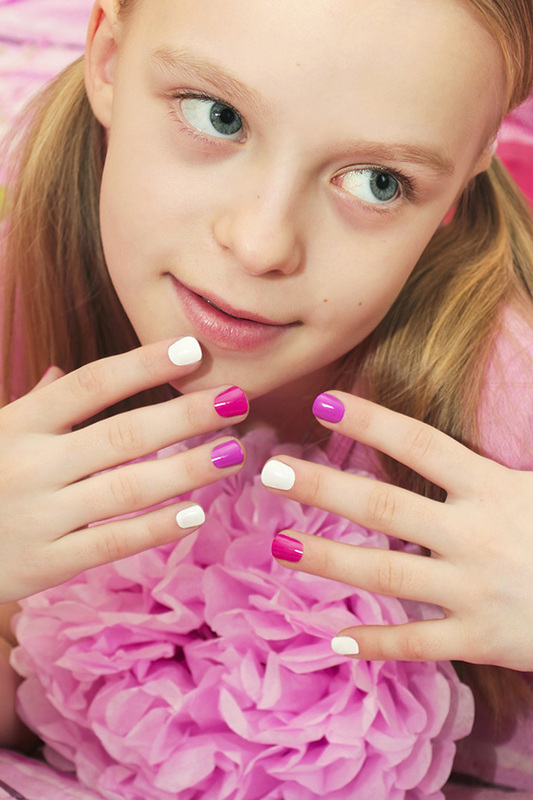 Stress Free Birthday Pamper Parties for your little Princess in the comfort of your own home. Proudly Queensland's Leading provider of Children's Mobile Pamper Parties since 2008. Inertia's Accredited Beauty Therapists come to your Home or Venue. Our Mobile Beauty Therapists bring everything that is required to perform the treatments including, table, towels, products etc. Inertia Day Spa services the Brisbane, Ipswich & Gold Coast regions. 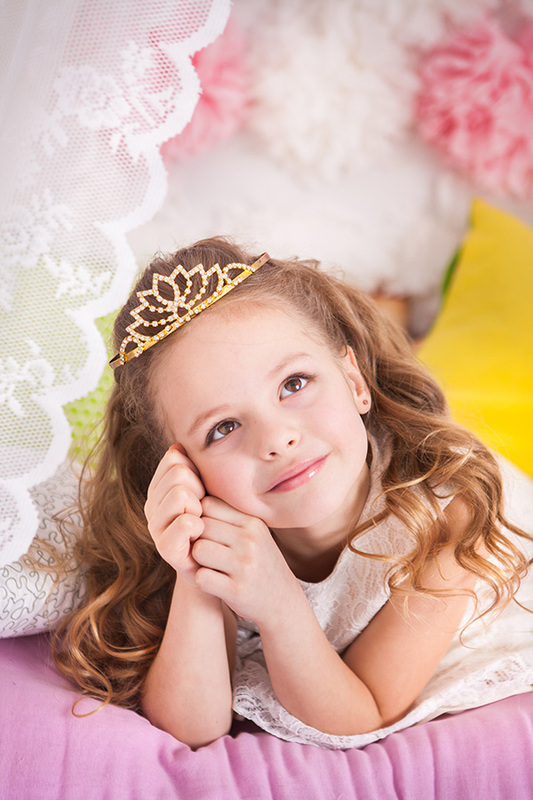 Call us today to book a birthday party for your princess, on 1300 700 627. Parties are available 7 days a week, 9am - 7pm, (last booking starts). Are for girls aged 4 - 12 years. A princess pamper party, is based on a mini day spa theme. Each party is designed to be age appropriate for the age group of each Birthday Party booking. If we do not have a specific option you are looking for, then we are happy to tailor one for you. Pretty pink & black nail station set up. Personalised birthday party invitation template. Birthday girl receives a tiara, feather boa & beauty gift. Professional manicure or pedicure; includes trim, file and shape of nails, base coat, professional nail polish application from our range of pastels, funky brights & glitters. Gorgeous nail art on 2 nails. Elegant temporary tattoo for each party girl. Pin the cucumber slices on the spa girl game. Gift bags for girls to take home. - Birthday girl receives a birthday gift, princess tiara and feather boa. - b) nail polish & nail file to keep. Gifts come in an organza bag. Satin Spa Robe Hire - $25 per party. Glitter Tattoos - $5.00 per guest. Glamour Hair Curls - $20 per guest. Birthday Party Ideas - Girls Parties in the comfort of your own home. Pretty pink & black beauty station setup. Birthday girl receives a tiara, feather boa & gift. Glitter eyes, shimmer blush, glossy glitter lips. Clear glitter nail polish on fingers. Gift Bags for party girls. b) nail polish & nail file to keep. These gifts come in an organza bag. Boys: Coloured hairspray & funky hair styles, 2 x temporary tattoos - $20 per party boy. 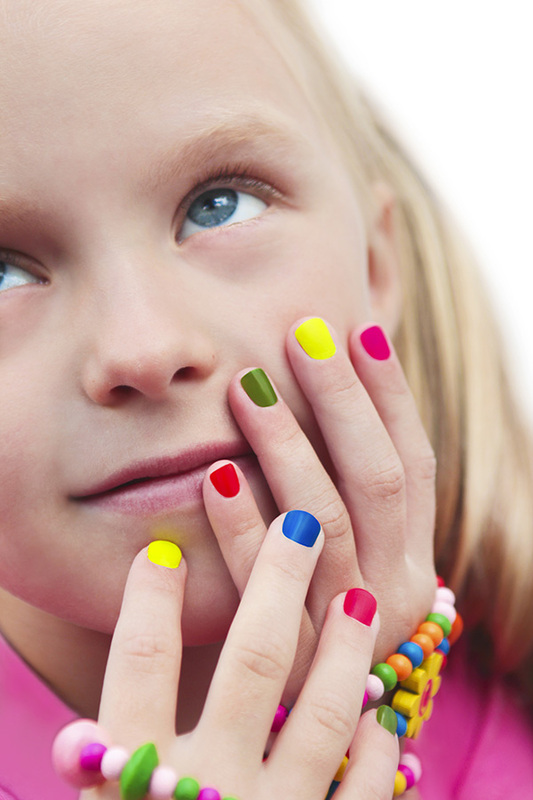 Girls Birthday Party Ideas - Girls Pamper Party Ideas in the comfort of your own home. Pretty pink & black nail station setup. Professional Manicure - File and shape nails, professional nail polish with pastels, funky brights & glitters. Professional Pedicure - Trim, file and shape nails, professional nail polish with pastels, funky brights & glitters. Gorgeous nail art on 2 finger nails and 2 toe nails. Gift bags for each party girl. Minimum 5 girls - 1 Therapist - $270 (2 hours). - b) nail polish & nail file to keep. These gifts come in an organza bag. Kids Party Ideas in the comfort of your own home or venue. Birthday girl receives a tiara, feather boa and gift. Trim, file and shape nails, professional nail polish with pastels, funky brights & glitters. Glitter hair & face jewels. Birthday girl receives a birthday gift, princess tiara and feather boa. Princess Pamper Parties - Day Spa Parties to remember. Pretty pink & black nail station & beauty bed setup. 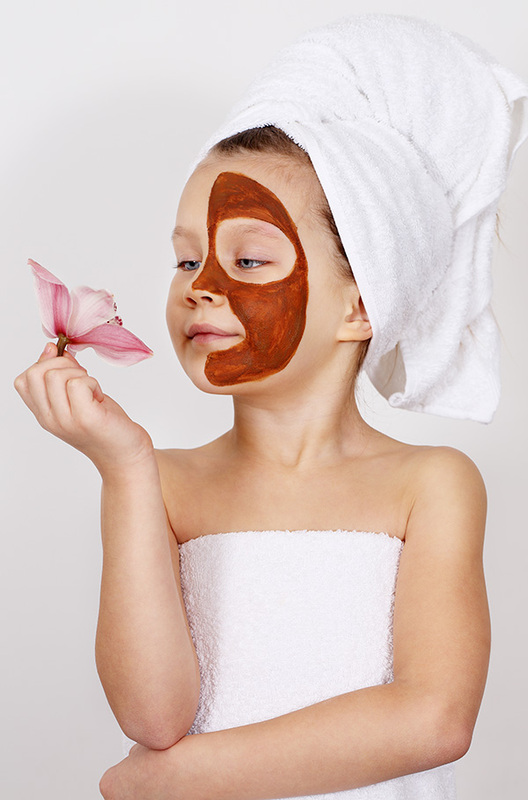 Edible chocolate facial with cucumber eyes - edible chocolate face mask, steamed towel removal & relaxing head & scalp or hand & arm massage while mask is on. - b) nail polish and nail file to keep. These gifts come in an organza gift bag. Temporary Tattoos - $3.00 per guest. unicorns, fairies, butterflies etc. Pretty pink & black spa station setup. Mini Manicure - file and shape nails, professional nail polish with pastels, funky brights & glitters. Mini Pedicure - Trim, file and shape nails, professional nail polish with pastels, funky brights & glitters. Gorgeous nail art for hands and feet. Edible Chocolate Facial with cucumber eyes - edible chocolate face mask, steamed towel removal. Enjoy a relaxing head & scalp or hand & arm massage, while mask is on. Facials are performed on a professional beauty table. Shimmer & Sparkle Makeup - with princess mauves and pinks, glitter eyes,shimmer blush, glossy glitter lips. Total package for 6 $470 (2hrs) with 2 Therapists performing treatments. Pamper Party performed in the comfort of your own home. I just wanted to say thank-you very much for Masyn's Pamper Party on Saturday. The kids are still raving about it (& the teacher has even let them keep the polish on this week!) & so are the mums. They all loved being pampered & were very surprised when they could keep their gifts from you! The teacher has told me the kids have been talking about the "panther" party all week! hehe (not sure where that came from!!). I've even had mums from other classes ask me about it, so of course i have passed on your name! Masyn has decided she wants the make-up with the manicure next year! I hope it does really well for you! Just thanking you so very much for making the girls night so special on Saturday at 19th Avenue (Palm Beach). They had a ball and were showing their nails off to everyone who was willing to take a look. I am singing you praises all over town and am keen to get a girls night together, (without the kids). Thanks again so much, Sue Ryder. Keely had her birthday yesterday and were pampered by Mia and Tahlia. Just wanted to provide some feedback. This is an awesome idea, all the girls absolutely loved it. The girls were very professional and caring. You have a great team there. I will be recommending you in the future. Thanks for providing a great service and making my little girls birthday just that extra bit special. Nicky. The princess pamper $270 packages above are Inertia's minimum party requirements. We come to you at home or in a venue of your choosing in the Brisbane, Ipswich and Gold Coast regions. We are a mobile service, that comes to you, we do not have our own venue or salon. We do not provide any party food or drinks. Make sure to book your daughters party in advance to avoid disappointment. Full payment of minimum party is required on booking. It is hard to know exactly how many party guests will be coming when you have to book in advance. However, all we require is the booking for the minimum party package on booking. You must advise and pay in full by the Tuesday before the party, if there will be any extra party guests. Cancellation fees apply for less than 2 weeks notice. We accept visa, mastercard, paypal & direct deposit. Please do not hesitate to call us on 1300 700 627 if you have any questions. 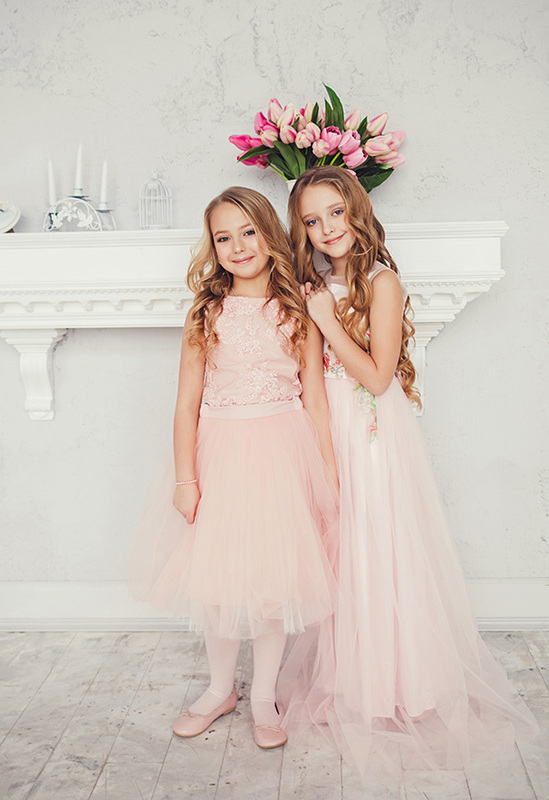 Our aim is to make sure everything runs smoothly for you and your daughter on her special day. Office and Holiday Apartments in Brisbane, Ipswich and the Gold Coast regions. Call to book an appointment on 1 300 700 627, (local call). We operate, 7 days a week, 9am - 7pm, (last booking starts).